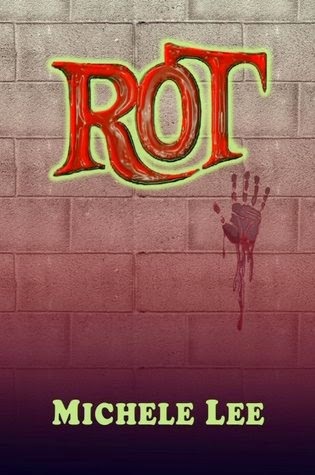 Rot is definitely not your traditional zombie tale, full of mindless, hungry zombies and lots of gore. Dean is a former military man hired as a security guard by a facility that specializes in caring for those who are raised from the dead by family members who are unable to care for them, yet unwilling to let them go. Amy and Patrick are newly raised zombies. Amy died from a stroke, her husband no longer willing to care for her, but unable to let her go. Patrick, a gay man, was killed in a car accident and kept alive by his parents who promise to give him a decent burial once he “repents”. When Amy goes missing, Dean and Patrick set out to find her and in the process, uncover the dark side of the Silver Springs Specialty Care Community. This is a wonderfully dark, thought-provoking, heart wrenching and imaginative story that explores the greed, corruption, and selfishness that leads to a callous disregard of human life and one man's strength and courage to do the right thing.